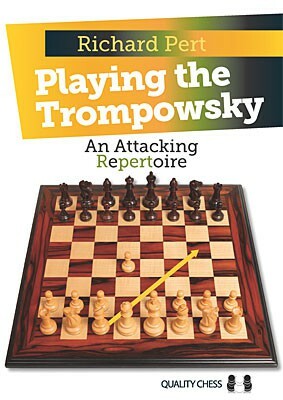 Produktinformationen "Pert, Playing the Trompowsky - gebunden"
If like most chess players you have a limited amount of time that you can spend studying, but you still want to push for an advantage with White, then the Trompowsky is a great choice. The Trompowsky, 1.d4 Nf6 2.Bg5, has not been as deeply investigated as many of the main lines, and it is an attacking opening that is tricky for Black to face. As well as providing an attacking repertoire for White with the ambitious Trompowsky Attack, the author also covers 2.Bg5 against the Dutch Defence, as well as the Pseudo-Tromp, 1.d4 d5 2.Bg5. Richard Pert is an English international master. He has played the Trompowsky with success for more than ten years. Weiterführende Links zu "Pert, Playing the Trompowsky - gebunden"
Kundenbewertungen für "Pert, Playing the Trompowsky - gebunden"